Note: This collection of teaching resources is only a small part of what is available for faculty. If you have a particular interest and would like additional support, or if you have suggestions for resources or topics to include in this collection, please contact the Faculty Center for Teaching Excellence. 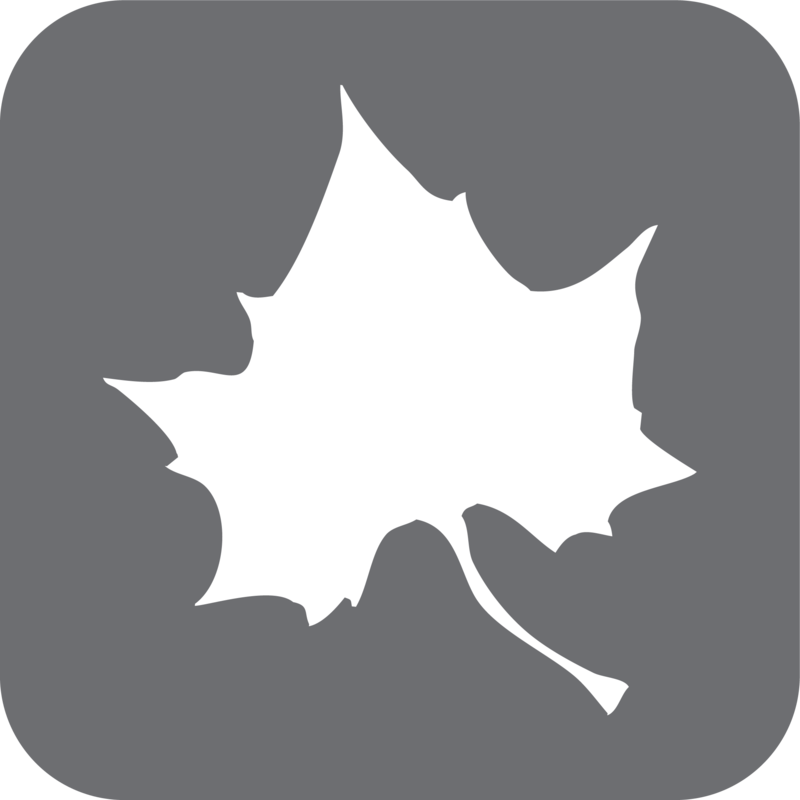 The Sycamore Leaf Icon indicates that a resource is specific to Indiana State University; the associated element represents a campus organization or available resource, or it was created by Indiana State staff or faculty. Academic Integrity 101 - Created by Indiana State University's Office of Student Conduct and Integrity, this video helps students understand what Academic Integrity is and how to model it. Online Proctoring - Indiana State Online offers several options when it comes to proctoring tests within Blackboard. Check out this page for more information on the supported services. Course Accessibility - This infographic, created by Indiana State Online, offers several helpful tips to ensure your courses meet ADA and UD needs. Disability Student Services - The Center for Student Success is committed to serving learners with documented disabilities. If you have a student who may be in need of accomodations, their first step is to communicate with Disability Student Services. Active Learning - Learn the theoretical foundation of active learning as well as several strategies to employ it in your classroom through this guide from Vanderbilt University. Active Learning 101 - This collection of active learning classroom techniques for Rutgers University can help invigorate your instructional methods and engage learners in meaningful ways. Designing and Teaching Online Courses with Adult Students in Mind - From Faculty Focus, this article establishes guidelines for analyzing the characteristics of adult learners in order to design and deliver more meaningful online courses. Appy Hour: Apple STEMs - This collection of apps is designed for STEM students and faculty. Appy Hour: Get Your Study On! - Need some apps to help your students practice strong study skills to prepare for the next exam? Check this out! Appy Hour: Google It - This resource explains a variety of Google apps that are available for smartphones and tablets, including Google Drive and various add-ons, Calendar, Hangouts, and Sites. Appy Hour: Go Viral! - This collection of apps shares resources for locating and editing images; listening to, recording, and editing audio; and viewing and editing video. Appy Hour: Writing in the Cloud! - This list of apps is useful for both students and faculty who are in the midst of the writing process. It includes brainstorming, researching, writing, word choice, citation, revision and editing, and plagiarism checker apps. Blackboard Mobile Learn – This app from Blackboard allows faculty and students quick access to many of the features in the web-based platform. Free. Blackboard Grader – This app from Blackboard is specifically designed for faculty. It allows viewing of student submissions, creation of audio and video feedback, grading with rubrics, and access to the Retention Center. 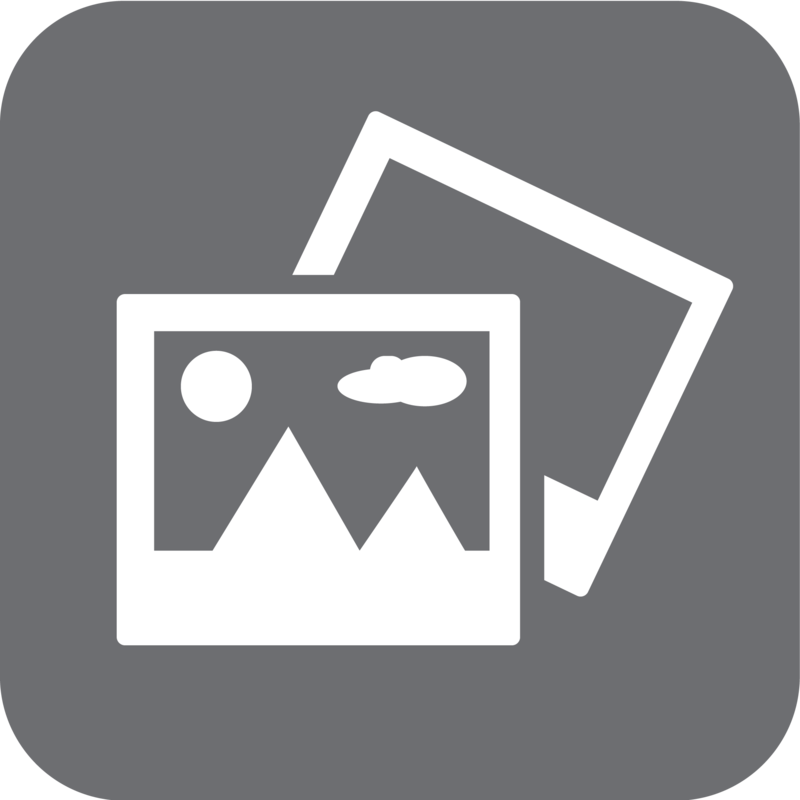 Blackboard Student – This app from Blackboard is specifically designed for students. It allows them the ability to review their profile, alerts, course content, grades, discussion boards, and due dates. Free. Critical Evaluation of Content-Based iPad/iPod App – Use this robust rubric to evaluate potential apps to use in your classroom. 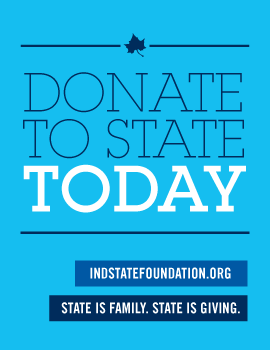 ISU Mobile – This is the official Indiana State University app. It offers resources for future and current students, online students, and alumni. Free. Ways to Evaluate Educational Apps – Not sure what to look for in an app? Use this simple rubric as a guide. Aligning Assessment with Objectives - This is a robust tool for understanding the importance of assessment alignment. The Alignment button includes an interactive lesson designed to build your skills at aligning assessments with objectives. Assessment Alignment Table - This quick reference guide can assist with selecting assessments that match the intended learning classification of stated objectives. Assignment Template - Created by Indiana State Instructional Designers, this assignment template provides a simple foundation for structuring all of your assignment sheets. Not only does it ensure you deliver needed information to online students, but it also creates a consistent among courses so that students are already familiar with the assignment sheet design. What Does It Mean to Assess? - This brief, interactive video explains what assessments are and the different types of assessments. What Is Assessment Alignment? - This brief, interactive video clarifies what assessment alignment is and why it's important. Dipsticks: Efficient Ways to Check for Understanding - Practical tips for meaningful formative assessment techniques. Check out the list of 53 Ways to Check for Understanding at the bottom of the article. Formative Assessment Tools - This brief video will introduce you to several tools available to Indiana State faculty that are ideal for formative assessment. Why Formative Assessments Matter - A brief summary of formative assessment and a few strategies for gauging student progress. Student Presentations: Do They Benefit Those Who Listen? - From Faculty Focus, this article addresses the merits and concerns of student presentations. Blackboard Summative Assessment Tools - This brief video will introduce you to several tools available to Indiana State faculty that are ideal for summative assessment. Audacity - A free audio recorder and editor. Good option for instructor podcasts as well as student recordings. CC Mixter - Creative Commons-licensed music featuring remixes for download or streaming. Jamendo - Creative Commons-licensed music featuring over 370,000 tracks, many of which can be used for commercial purposes, downloaded, and streamed. Vocaroo – This free online voice recorder is simple to use, save, and share. Recordings are not store indefinitely, however. Voki - Free online avatar creator. Record your voice or type in your message and use an automated, accented voice in multiple languages. Customize your animated image. Open Badges - Earn badges for skills online and off. Badges offer a standard to recognize your or your students' achievements. Best Practices for Preparing a Course in Blackboard - This video from Indiana State's Instructional Designers offers a few key tips for best practices in your Blackboard course design as well as a brief overview of the navigation within Blackboard. Blackboard Tech Support – This collection of faculty and student tutorials designed by OIT is accessible through categories or a search engine. All Blackboard courses also link to this resource in the menu (Blackboard Tech Support). National Center for Case Study Teaching in Science - With over 645 cases in all areas of science, this site utilizes case studies and problem-based learning to engage students. Case Studies - From Penn State, this resource defines case studies and offers tips on writing and teaching with cases. Brain-Based Learning Strategies Webinars - From Judy Willis, a board-certified neurologist and middle school teacher, these resources can help you better understand how student approach and encode new information. A webinar and multiple handouts are available. Keeping Students on Board with Concept Maps - This article from Faculty Focus highlights tips and strategies for implementing concept maps in your classroom. Mindmeister - Free, collaborative online mind mapping. This web-based platform also has an app available for iOS and Android devices. Creative Commons Resources - A list of websites to locate copyright-free audio, graphics, multimedia, texts, and video. Locating & Using Copyrighted or Creative Commons-Licensed Materials - This tutorial walks you through how to find and cite multimedia from in Flickr, Google, CC Mixter, Internet Archive, and Open Textbook Library. Understanding and Applying Copyright in Online Educational Environments - Designed for faculty, this tutorial walks users through the complexities of fair use and using copyrighted or Creative Commons-licensed materials in an online educational environment, from locating to saving to attributing. What You Need to Know About Copyright - This infographic, created by Indiana State Online, provides an overview of copyright regulations that govern what can be utilized in both face-to-face and digital classrooms. Backwards Course Design – This resource from Indiana University explains the process of backwards design, a very common method for building a course based on the expected outcomes. Curriculum Planning Template - This template provides a framework for building or examining your course design to ensure the assignments, activities, and materials within your course help students build mastery in the intended objectives. Guidelines for Discussing Incidents of Hate, Bias, and Discrimination - This resource from the University of Michigan offers sound advice for facilitating conversations surrounding issues related to ethnic or individual hostility and violence. Macroaggressions: A Campus Climate Conversation with Maura Cullen - Indiana State University faculty and staff have access to this webinar through the Center for Global Engagement. Please contact El-Houcin Chaqra (812-237-3085; el-houcin.chaqra@indstate.edu) for more information. Peter Lake on Academic Freedom and Title IX: Balancing Competing Interests - Indiana State University faculty and staff have access to this webinar through the Center for Global Engagement. Please contact El-Houcin Chaqra (812-237-3085; el-houcin.chaqra@indstate.edu) for more information. The Big List of Class Discussion Strategies - This terrific resource describes a variety of strategies to use to invigorate your classroom and online discussions. Discussion Board: Online Discussions for Blended Learning - This article shares ideas for incorporating discussion boards into a face-to-face class. Helping Students Discuss Technical Content - This article offers suggestions for how to construct significant discussion experiences for students. Online Discussion Boards: Planning, Managing, & Assessing - Great tips for discussion boards from start to finish. Online Discussion Boards: Strategies to Ease Instructor Burden and Promote Student Learning - Tips on how to best facilitate discussion forums. Strategies for Managing Online Discussions - This article from Faculty Focus shares tips on how to manage discussion boards. What Makes for Successful, Compelling Discussion Boards? - Great tips on how to get the most of your discussion board activities. Reimagining the Role of Technology in Higher Education: A Supplement to the National Education Technology Plan – This resource from the Office of Educational Technology in the U.S. Department of Education shares recommendations for integrating technology into college classrooms. See also Active Learning and Interactive Learning. Mastering the Boring Basics– This article from Vitae offers excellent tips for regularly engaging students with small, everyday activities. English Companion - This Ning network, created by author Jim Burke, is a go-to for English teachers. Seek out curriculum, community, multimedia, etc. Do the Best Professors Get the Worst Ratings? – According to Psychology Today, research shows that student evaluations do not always reflect performance results. What Can We Learn from End-of-Course Evaluations? – From Faculty Focus, this article shares the value of having students evaluate our courses. 101 Things You Can Do in the First Three Weeks of Class – This collection of tips from the University of Nebraska is a great reminder of simple ways to build a community of learners from the onset of a course. Plan the First Day’s Session – This resource from the University of California, Berkeley, details a lesson on how to engage students from the very first day of class. First-Generation Student Success: 5 Critical Issues for 2016 – Indiana State University faculty and staff have access to this webinar through the Center for Global Engagement. Please contact El-Houcin Chaqra (812-237-3085; el-houcin.chaqra@indstate.edu) for more information. Chegg Flashcards+ – Free iOS or Android app to create and share flashcards. Many study decks are available. Quizlet – Free online tool to create and share flashcards and interactive quizzes and games. Many study decks are available. An app is also available for iOS and Android devices. StudyBlue – Free online tool to create and share flashcards. Many study decks are available. An app is also available for iOS and Android devices. Five Time-Saving Strategies for the Flipped Classroom – This article from Faculty Focus offers great recommendations for “covering the content” while still engaging students meaningfully. Five Ways to Motivate Unprepared Students in the Flipped Classroom – This article from Faculty Focus details tips for addressing unprepared and underprepared students in a flipped classroom environment. The Flipped Classroom Unplugged: Three Tech-Free Strategies for Engaging Students – This article from Faculty Focus details three in-class strategies that do not require computers or smartphones. Flipping Large Classes: Three Strategies to Engage Students – This article from Faculty Focus explains three ways to meaningfully engage students in a flipped classroom environment. Managing In-Class Learning Experiences in Flipped Classrooms – This article from Faculty Focus provides suggestions for classroom management using a flipped classroom model. No, You Do Not Need to Use Video in Flipped Learning (and Five Alternatives) – This article explains that video is not a mandatory feature of flipped classrooms. In fact, there are a variety of non- or low-tech alternatives! Ready to Flip: Three Ways to Hold Students Accountable for Pre-Class Work – Need ideas for encouraging students to be prepared for in-class discussions and activities? This article from Faculty Focus provides some strategies for doing just that! Graduate Students: How to Engage, Support, and Mentor for Their Success - Indiana State University faculty and staff have access to this webinar through the Center for Global Engagement. Please contact El-Houcin Chaqra (812-237-3085; el-houcin.chaqra@indstate.edu) for more information. See also Peer Evaluation/Peer Review. Effective Teamwork in Student Groups - This video series from Babson College offers a group work survival guide for college faculty. Five Things Students Can Learn Through Group Work – This article from Faculty Focus explores what students can achieve through collaborative group work. Group Work: How to Use Groups Effectively – This article published in The Journal of Effective Teaching offers great suggestions for crafting effective group projects. Group Work in College Mathematics Classes - This article published by Video Cases for College Mathematics Instruction describes the role of group work in a college math course. Group Work: Using Cooperative Learning Groups Effectively - This resource from Vanderbilt University discusses the theory and practice of cooperative tasks. How to Improve Group Work: Perspectives from Students – This brief article, from Faculty Focus, offers quick tips for enhancing group projects. How to Make Group Work Collaborative in Online Courses: Four Strategies - This article from Online Learning Insights offers tips for a meaningful design of group projects. Ideas for Great Group Work - This article from Duke’s Center for Instructional Technology offers some tips for designing meaningful collaborative tasks. Using Group Projects Effectively - This resource from Carnegie Mellon University offers great tips and examples of how to effectively design and implement group work, including its benefits and challenges, composition, monitoring, and assessment. Strategies for Effective Group Work in the Online Class – Great tips for managing group work online. Students Riding on Coattails During Group Work? Five Simple Ideas to Try - This article from Faculty Focus identifies strategies to ensure students working in a group pull their own weight. Tips for Participating in Group Work & Projects Online – This fun infographic for students helps clarify essential elements needed for a successful team project. Hispanic Student Success: Data, Strategies, Completion - Indiana State University faculty and staff have access to this webinar through the Center for Global Engagement. Please contact El-Houcin Chaqra (812-237-3085; el-houcin.chaqra@indstate.edu) for more information. ISU Photography Services - Search this database for images available for classroom and departmental use. These images are free to use for classroom purposes. Please contact Photography Services (812-237-2689, tony.campbell@indstate.edu) before using images in department publications. Flickr – Use the Advanced Search to locate Creative-Commons-licensed photographs that are free to use and share. Keep in mind that all online images, unless stated otherwise, are protected by copyright. While fair use may apply in certain educational situations, it may be better to look for copyright-free images. For more information, see the Copyright & Creative Commons section. Google Images – An excellent search tool to locate images to use in your courses. Keep in mind that all online images, unless stated otherwise, are protected by copyright. While fair use may apply in certain educational situations, it may be better to look for copyright-free images. For more information, see the Copyright & Creative Commons section. Jing – This free online tools allows you to capture and edit still images. 10 Free Tools for Creating Infographics - Excellent list of quick, free infographic tools. Consider using one to highlight key elements of your syllabus or assignment, for example. Crash Course in Infographics – This is a great resource to help build your (or your students) understanding of the complexity, organization, and graphic design of infographics. Easel.ly - This free (up to a point) infographic creator has many templates and images from which to choose. How to Create an Infographic Syllabus with Piktochart - This guide offers sound advice for generating a more digestible infographic syllabus using an infographic. While this article is sponsored by Piktochart, you can actually do this with any infographic tool. Infographics as a Creative Assessment - This massive guide from Kathy Schrock offers an abundant amount of resources related to infographics, from examples to tools to tips. This website has it all. Piktochart - This free (up to a point) infographic creator has many templates and images from which to choose. Piktochart in the Classroom - Although this article is really dedicated to Piktochart, the linked resources can actually apply to any infographic creator. Excellent tips for using infographics in the college classroom. Turn Your Syllabus into an Infographic - This article from the University of Notre Dame offers great tips for creating an infographic based on your course syllabus. The Whats Whys and Hows of Infographic Assignments - This article from Academic Technology explains the concept of infographics and offers support for using them in the classroom. See also Engagement and Polling. Infogr.am - Create interactive infographics including bar, pie, line, and matrix charts and graphs. Free. Inklewriter - Create and publish interactive stories. Free. Kahn Academy – A free resource for practice exercises, instructional videos, and personalized learning in a variety of disciplines. PlayPosit – This free online tool enables you to import online videos and add interactive elements such as comments, quiz questions, and audio clips. SoftChalk – This online, user-friendly authoring tool allows you to create interactive, engaging lessons that can be automatically scored and integrated with the Blackboard Grade Center. Indiana State has a campus-wide subscription to this service. TedEd – Locate, modify, or create interactive lessons using video, a quizzing tool with immediate feedback, and a discussion board with this fully online resource. Thinglink - Generate interactive images that enable users to learn more, watch videos, embed additional images, shop, etc. Free. See also Hispanic Students and Muslim Students. International Students: Transition, Persistence and Graduation - Indiana State University faculty and staff have access to this webinar through the Center for Global Engagement. Please contact El-Houcin Chaqra (812-237-3085; el-houcin.chaqra@indstate.edu) for more information. 5 Ways to Shake Up the Lecture – This article from The Chronicle of Higher Education offers five different methods for engaging students in a large lecture class. An Activity that Promotes Engagement with Required Readings, Even in Large Classes – This article, from Faculty Focus, offers a great strategy for encouraging discussions based on assigned reading in a large-enrollment course. How One University Encourages Innovation in Teaching – This article from The Chronicle of Higher Education explains one unique, low-tech, and highly energizing strategy to engage students in large classes. The Personal Lecture: How to Make Big Classes Feel Small – This article from The Chronicle of Higher Education shares vignettes of multiple classrooms who have made student engagement a core element of their large classes. Teaching Large Classes – This website from Vanderbilt University offers a plethora of strategies for engaging students in classes with large enrollments. Be sure to click on each of the available tabs. Teaching Large Classes: Resources and Tips for Large-Enrollment Classes – This collection of short videos from the University of Texas at Austin is an excellent resource for instructors of large classes. Tips for Teaching Large Classes – This guide from Texas Tech shares insights to address some of the challenges of teaching large classes while maintaining student engagement. Tools for Teaching: Managing a Large Class Size – This article from Edutopia offers tips for instructors who find themselves facing large class enrollments. Planning a Class Session: A Guide for New Teachers – This comprehensive guide from Penn State is designed for novice teachers but really offers great strategies for expert instructors as well. Strategies for Effective Lesson Planning – This resource from the University of Michigan offers advice for creating and implementing a purposeful lesson plan to engage and inspire students. Microsoft Quick Reference Guides - These quick reference tutorials provide basic overviews of Office 2010, Office 2013, SharePoint, and Windows and are free to use and share. Mindset & Grit – This interactive lesson, created by Indiana State Online, introduces learners to the concepts of mindset and grit and encourages them to persist in their learning efforts. This course can also be customized and integrated within your Blackboard course site. For more information, please contact an instructional designer at isu-ids@mail.indstate.edu or 812-237-2345. How to Drive Engagement with Mobile Devices – The mobile classroom offers one of the best growth opportunities for educational institutions--as well as flexible, engaging learning environments for students. 20 Strategies for Motivating Reluctant Learners – This collection of interactive strategies is a great way to engage students and encourage participation. See also Audio, Images, and Video. Creative Commons Search – A search engine for over a dozen Creative Commons friendly websites, including music, images, videos, and other media. Internet Archive – Video, text, audio, and software files, many of which are licensed under Creative Commons or are able to be used for educational purposes (check the licensing to ensure correct use). Remix-T - From the University of Notre Dame, this website enables instructors to build effective multimedia elements in their digital classrooms. Wikicommons – Freely usable images, sounds, and videos, organized by topic, location, type, author, license, and course (but you still have to check the licensing for limitations). Muslim Students on Campus - Indiana State University faculty and staff have access to this webinar through the Center for Global Engagement. Please contact El-Houcin Chaqra (812-237-3085; el-houcin.chaqra@indstate.edu) for more information. Differential Effects of Full and Partial Notes on Learning Outcomes and Attendance – This article from The Journal of Teaching of Psychology discusses the practice of providing students full or partial notes. Helping Students Discover the Value of a Good Set of Notes – This article, from Faculty Focus, explains how to help students personalize, organize, and use their notes. How to Help Students Improve Their Note-Taking Skills – This article, from Faculty Focus, provides suggestions for building students' note-taking skills. If You Want Students to Learn, Teach Them How to Take Notes – This article shares research related to the value of taking notes. The Impact of Instructor-Provided Lecture Notes and Learning Interventions on Student Note Taking and Generative Processing – This Master's thesis discusses the practice of providing students with notes. Insights Regarding the Usefulness of Partial Notes in Mathematics Courses – This study from the Journal of the Scholarship of Teaching and Learning examines the impact of providing partial notes in math classes. Research on Student Notetaking: Implications for Faculty and Graduate Student Instructors – This article explores research related to the impact of note taking. Should Instructors Provide Students with Complete Notes? – This article from Faculty Focus discusses the practice of providing students will a full set of notes. Teaching Students to Take Better Notes: Notes on Notetaking – This article provides specific strategies for helping students improve their note-taking skills. Assessment Alignment Table – This quick reference guide can assist with selecting appropriate, measurable verbs related to each learning classification. Constructing Learning Objectives – This brief interactive video explain how to best structure objectives as well as their purpose. Developing Measurable Learning Objectives – This interactive lesson can help you create meaningful, measurable course and module objectives. While specific to online courses, it can also be applied to face-to-face course design. Objectives Builder – This interactive tool can help you create meaningful, measurable objectives. 6 Ways to be a Better Online Teacher – This article from Campus Technology offers six quick tips for becoming a more effective online instructor. Adaptability to Online Learning: Differences Across Types of Students and Academic Subject Areas – Published in the Journal of Higher Education, This study reviews the effect that online learning has on persistence and performance. Applying the Seven Principles for Good Practice to the Online Classroom – This article translates Chickering and Gamson's guidelines for undergraduate education practices to the online environment. Campus Resources for Indiana State Online Students – This collection of Indiana State resources is maintained by Indiana State Online and provides a list and description of all student and academic services available to Indiana State Online students. This is a great resource to add to your Start Here page within Blackboard. Five Ways to Make Your Online Classrooms More Interactive – These quick tips from Faculty Focus can make your online courses more engaging and meaningful to both you and your students. Guidelines for Administering Distance Education – This document details general policies related to online education at Indiana State University, including expectations related to responding to student inquiries, course evaluations, advising, program assessment, adminstrative oversight, learner commitments, and faculty responsibilities. Indiana State Online Facebook Page – Friend this page for updates on Indiana State Online programs, workshops, and news. Also great to share with students. Indiana State Online Twitter Feed – Follow Indiana State Online on Twitter @IndStateOnline for updates on programs, workshops, and news. Also great to share with students. Indiana State's Online Course Template – Indiana State Online has created multiple Blackboard templates that model strong course navigation and also contain multiple resources for online faculty and students. To learn more, view the introduction to Indiana State's online course template. Moving a Face-to-Face Course Online Without Losing Student Engagement – Article from Faculty Focus. Online Learning Consortium Survey Reports - Findings of surveys that have been completed annually by OLC to measure growth and perceptions of online education. Regular and Substantive Interaction in Online Courses – To distinguish online courses from correspondance courses, federal regulations mandate that online education includes what is known as "regular and substantive interaction." This infographic, created by Indiana State Online, details the federal guidelines as well as practical ways you can implement them in your online course. Quality Matters Rubric – Indiana State Online employs Quality Matters as a quality assurance mechanism. The QM Rubric should guide the design of your online course. OER Research Hub – A great resource for research related to OERs. Open Educational Resources – If you are interested in converting your course to OERs, this libguide from Indiana State offers many links to resources for multiple disciplines. Qualifying projects may receive a stipend to support the conversion. Participation Points: Making Student Engagement Visible – This article, from Faculty Focus, offers tips for evaluating (and renaming) participation. It includes a simple rubric to assess engagement. Frame Your Feedback: Making Peer Review Work in Class – This article from Faculty Focus shares ideas for preparing students for and managing the peer evaluation process. Planning and Guiding In-Class Peer Review – Good tips for designing and managing peer evaluations. Using Peer Review to Help Students Improve Their Writing – Great tips for using peer evaluation techniques to enhance writing skills. Teammates – Free online tool that allows students to submit peer and self-evaluations. Why Students Hate Peer Review – This article from Vitae offers a useful strategy for successfully utilizing peer review. Doodle – This free online tool is great if you are trying to find common times to schedule an event or conference. Kahoot – This free online tool allows for the creation of visually-based polls. Can be used with browsers, smart phones, or tablets. Once the poll is created, students access it through Kahoot.it. Poll Everywhere – This online tool allows you to create a variety of polling quizzes. Poll creation is free for up to 25 responses per poll. Can be used with browsers, smart phones, or tablets. Socrative – This free online tool allows up to 50 students to respond to a single polling session, which can include a variety of question types as well as “on-the-fly” questions. Also available for IOS or Android. Google Slides – An alternative to PowerPoint, Google Slides is portable on the cloud and allows for easy collaboration among peers. PowerPointLabs – A free add-in to make more dynamic PowerPoint presentations. For an overview, see the demo video. Top Ten Slide Tips – Great design advice for any slideshow program. Problem-Based Learning at University of Delaware - Explains PBL and provides resources to assist with implementing it. Process-Oriented Guided Inquiry Learning – Uses guided inquiry as a student-centered strategy for critical thinking and learning. Check out the Post-Secondary tab for resources for specific disciplines. An Introduction to Quality Matters at Indiana State University – A brief video outlining the role of QM as a review tool for quality online courses at Indiana State. Overview of Quality Matters – Quick interactive lesson explaining the Quality Matters program and purpose. Quality Matters Higher Education Rubric – Indiana State has a campus-wide subscription to QM. This rubric is a great resource to gauge the quality of your online course design. Be sure to create a QM account with your Sycamore email for free, full access. A Review of Rubric Use in Higher Education – This article details the use and perceptions of rubrics in higher education. It offers a critical look at their advantages as well as their reliability and validity. How to Assess with Rubrics – This brief video explains the different types of rubrics that you might use in your courses and how to design them accordingly. Rubistar – If you aren't sure where to begin when it comes to creating a rubric, check out this website! There are several rubric templates you can use or modify to fit your needs. VALUE Rubrics – This collection from the Association of American Colleges & Universities (AAC&U) offers a diverse set of rubrics specifically designed for higher education. They can also assist your program in meeting national standards and accreditation needs. What Are Rubrics and Why Are They Important? – This chapter from How to Create and Use Rubrics for Formative Assessment and Grading provides an overview of rubric development and value. Journal of the Scholarship of Teaching and Learning – From Indiana University, this journal addresses the scholarship of teaching and learning in higher education. Cell Phones in the Classroom: Collaborative or Calamitous? 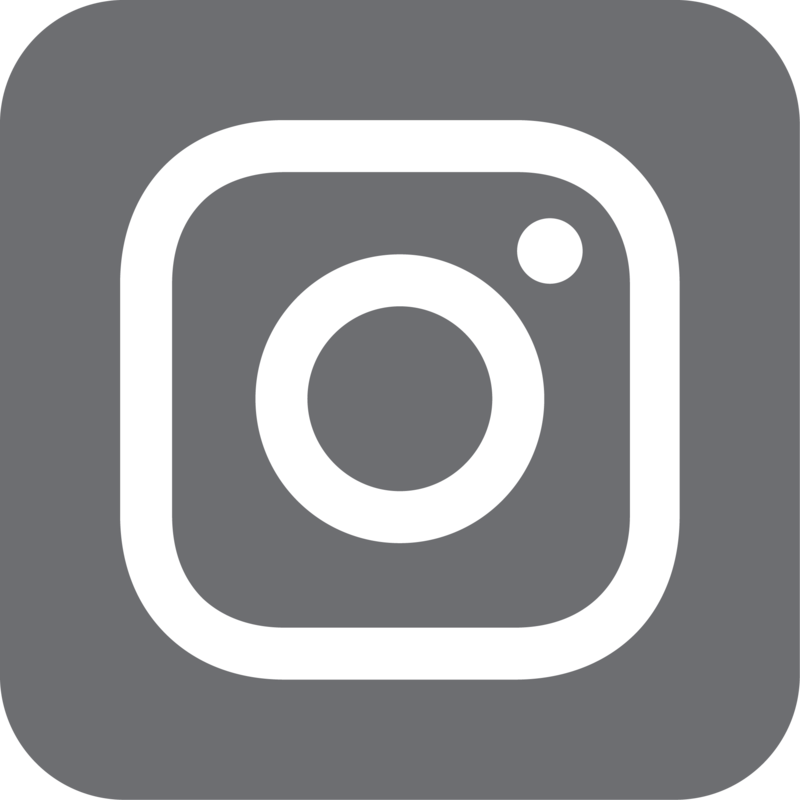 – This summary from the Online Learning Consortium explains best practices for using smartphones in the classroom. How Concerned Should We Be About Cell Phones in Class? – This article from Faculty Focus considers the both the challenges and potential of mobile devices in the classroom. James May, Carnegie Foundation Professor of the Year – Witness one instructor’s efforts at integrating mobile technology into his everyday classroom through this brief video. On the Use of Cell Phones and Other Electronic Devices in the Classroom: Evidence from a Survey of Faculty and Students – This article from The Journal of Education for Business shares research related to faculty and student perceptions regarding the use of mobile devices in the classroom. Student Impressions of Academic Cell Phone Use in the Classroom – This article from the Journal of College Science Teaching shares the results of a study of student perceptions related to use of smartphones in the classroom. In order to access this article, you will need to be on campus or logged into MyISU. Why This Professor Is Encouraging Facebook Use in His Classroom – This article from The Chronicle of Higher Education reviews one instructor's successful use of Facebook in Higher Ed. Applied Math and Science Education Repository (AMSER) – Repository of links to online resources for a variety of disciplines including math, science, education, arts, history, language, law, and others. Free Online Learning at GCFGlobal – This website offers free online lessons, videos, interactivities, and games in a variety of subjects, including technology, work, core skills, and reading and math. Free Tutorial Services for Sycamores – The Center for Student Success offers tutoring for on-campus and online students in a variety of subjects. This lesson introduces learners to the Center and explains how to schedule a tutoring appointment. Mental Health Awareness – This lesson introduces Indiana State students to various on- and off-campus resources to support their mental health needs while at State. Writing Matters – This interactive lesson introduces Indiana State students to the writing support provided by the Math & Writing Center. It also clarifies how both face-to-face and online learners can schedule an appointment with the Center. Qualtrics – Indiana State subscribes to this online survey creation tool, which is great for collecting student feedback or polling populations. To gain access, request an account through OIT. Course Schedule Template – Use this optional course schedule template, created by Indiana State instructional designers, to develop an effective schedule of assignments and activities for your learners. How Do I Create an Effective Syllabus? – This resource from Texas Tech explains how to achieve the real purposes of a syllabus through meaningful outcome statements, assessment methods, grading criteria, and course policies. How to Create an Infographic Syllabus with Piktochart – This guide offers sound advice for generating a more digestible infographic syllabus using an infographic. While this article is sponsored by Piktochart, you can actually do this with any infographic tool. A Learner-Centered Syllabus Helps Set the Tone for Learning – This article from Faculty Focus explains what a learner-centered syllabus looks like and how to achieve it. It also considers the question of how long a syllabus should be. Syllabus Template – It can be difficult to keep up with all of the mandated University statements, office locations, and recommended syllabus language. Indiana State Online updates this Syllabus Template regularly so that you can always be assured of up-to-date information. Use it to help you revise your syllabus each semester. Turn Your Syllabus into an Infographic – This article from the U of Notre Dame offers great tips for creating an infographic based on your course syllabus. Writing a Syllabus – This resource from Cornell University’s Center for Teaching Excellence provides great advice on how to craft a purposeful syllabus that engages and directs. Rethinking My Exams – This article, from Vitae, details one instructors revisioning of his tests. Focusing on alignment of the test questions with the intended objectives created a stronger, more purposeful assessment. Student Guide: Turnitin Feedback – This tutorial from Indiana State’s OIT provides step-by-step information for accessing Turnitin feedback from within the Blackboard environment. Student Guide: Viewing Feedback – This tutorial from Turnitin provides information for accessing Turnitin feedback, including inline comments, general comments, voice comments, and rubrics. Alexander Press – This resource of over 62,000 (primarily non-fiction) videos from nearly every discipline is available to Indiana State staff, faculty, and students. Click on the Embed/Link icon to post the video in your Blackboard course. That is the only legal way to add the video to your course, as these videos are copyrighted and available only through a subscription service. CNN Video – Up-to-date news videos. Crash Course (on YouTube) – This YouTube channel is a collection of short (10-15 minute) animated videos introducing students to a variety of educational topics including philosophy, literature, physics, economics, U.S. government and politics, astronomy, world history, psychology, anatomy & physiology, and more! Click on Playlists to view their videos based on the discipline. Films on Demand – This resource is available to Indiana State staff, faculty, and students. Click on the link above then click on Films on Demand to navigate to the Indiana State collection of videos. If you are accessing the website from on campus, you will be taken directly to the collection; if you are accessing it from off campus, you may be taken to a log-in page where you will need to input your Sycamore user id and password before accessing the collection. Click on the Share tab to copy the Title URL or Embed Code to post the video in your Blackboard course. That is the only legal way to add the video to your course, as these videos are copyrighted and available only through a subscription service. Many (but not all ) of the Films on Demand videos are also part of the database collection when searching through the Cunningham Memorial Library's Fusion search engine; look for e-videos in the left-side menu. To add the video to your course, use the Persistent Link available below Bookmark This Record. Google Video – A Google search engine dedicated to online videos. MIT Video – More than 12,000 educational videos for free online. TeacherTube – Free online videos created by teachers and students. You can also upload your own content here. TED Talks – Over 1,500 engaging videos related to technology, education, business, etc. Vimeo – A great collection of videos are available through Vimeo. However, note that not all videos are free to use and share in the classroom. Click on the SHARE button for a link or embed code to post in your Blackboard courses. If you wish to download a file and modify it in anyway, you will need to use the advanced search filter to locate Creative Commons-licensed videos. YouTube – A multitude of videos are available through YouTube. You can also use the Mashup Tool to embed a player directly into Blackboard. If you wish to download a video file and modify it in anyway, you will need to use the search filter to locate Creative Commons-licensed videos. Create & Manage Playlists - If you'd like to compile a collection of videos related to a specific topic, module, or concept, consider creating a YouTube playlist. You can easily share the list with your students or even have them add to it! How to Link to a YouTube Video from a Specific Start Time to End Time - If you'd like to show just a clip of a video in your course, this tutorial can help! Subscribe to Channels - Subscribing to a channel is a great way to keep track of relevant, useful videos and creators. When you subscribe to a YouTube channel, anytime it publishes a new video, the clip will show up in your Subscriptions feed. Watch and Learn: The Top 75 Educational YouTube Channels in 2019 - Want to make the most out of YouTube? Consider subscribing to some of these highly useful YouTube channels. Amara – Free website that generates closed captioning for videos in YouTube, Vimeo, HTML5, and other formats. This is a great tool to assist with ADA compliance. Educreations - Free screencast website that enables you to record and share lessons with basic whiteboard tools. iPad app also available for free. Explain Everything - $2.99 screencast iPad app with design and whiteboard features. Let's you annotate, animate, narrate, import, and export. PowToons – Free animated video creator tool. Seven Steps to Creating Screencast Videos for Online Learning – Learn some quick tips for creating effective videos using screen capture software such as Tegrity and Camtasia. Salman Khan: Let's Use Video to Reinvent Education - Khan talks about how and why he created the Khan Academy and what videos can do for instruction. Viewing Comprehension Strategies: Watching Videos Like You Read a Book – This article from TeachThought shares useful strategies for helping your students more effectively digest video resources. Includes an excellent infographic that could be shared with your students. Bloom’s Taxonomy Pyramid – Created by Samantha Penney, this pyramid associates various web 2.0 technologies with Bloom’s taxonomy. Blackboard Collaborate Ultra: Moderators Guide – Blackboard Collaborate Ultra is supported by OIT as a recommended synchronous tool. This lesson, created by Indiana State Online, walks faculty through how to get started using this technology. Blackboard Collaborate Ultra: Moderator Guide – This website from Blackboard offers faculty tutorials to introduce you to the Blackboard Collaborate Ultra environment. Novice as well as advanced features are addressed. Blackboard Collaborate Ultra: Participant Guide – This website from Blackboard offers student tutorials to introduce learners to the Blackboard Collaborate Ultra environment. It's a good idea to add a link to this tutorial to your course if you plan to use this technology. Synchronous Online Classes: 10 Tips for Engaging Students – This Faculty Focus article shares practical techniques for making the most of your online video chats. Which Tool Should I Use? Yuja or Collaborate? – If you aren't sure what synchronous tool will best fit your needs, check out this brief article from Indiana State's OIT. Yuja Tutorial – Yuja is one of the recommended web conferencing technologies supported by Indiana State. This tutorial, regularly updated by Indiana State Online, provides basic information about how to navigate and utilize this technology. Prompts that Get Students to Analyze, Reflect, Relate, and Question – Simple, ready-to-use-prompts that are adaptable and purposeful. Purdue’s Online Writing Lab (OWL) Research and Citation – A very useful guide for students with clarification regarding what research is and how to properly document and format research using APA, MLA, or the Chicago Manual. Source Educational Evaluation Rubric (SEER) – From Turnitin, this interactive rubric helps instructors and students evaluate the quality of online sources based on their authority, educational value, intent, originality, and quality. What’s Wrong with Wikipedia? Best Practices for Evaluating Student Sources - From Turnitin, this webcast considers Wikipedia and other questionable students sources from a faculty perspective. Grading Contract Journey Part 1: First-Year Writing – While this article from Inside Higher Ed describes one instructors challenges with contract grading, it’s actually a good reminder of what it really means to teach writing.. Sample Lesson Plans – This resource from Brandeis University offers an abundant collection of lesson plans targeting various writing skills. Easily adaptable to nearly any discipline. Writing Matters: An Introduction to the Math & Writing Center – This interactive guide explains the value of writing tutoring through the Indiana State Math & Writing Center as well we how to access the services. This lesson is also customizable for specific disciplines and can be added to your course and automatically assessed and entered into the Blackboard Grade Center. For more information, please contact lisa.hughes@indstate.edu.